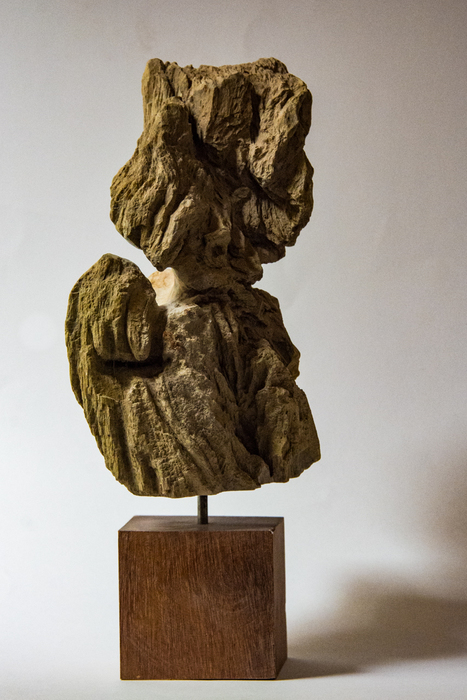 Sculptures of stone and wood, and a few of acrylic stone. 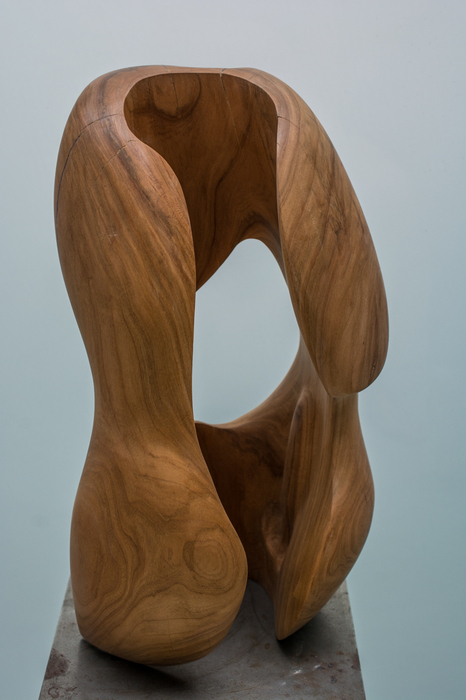 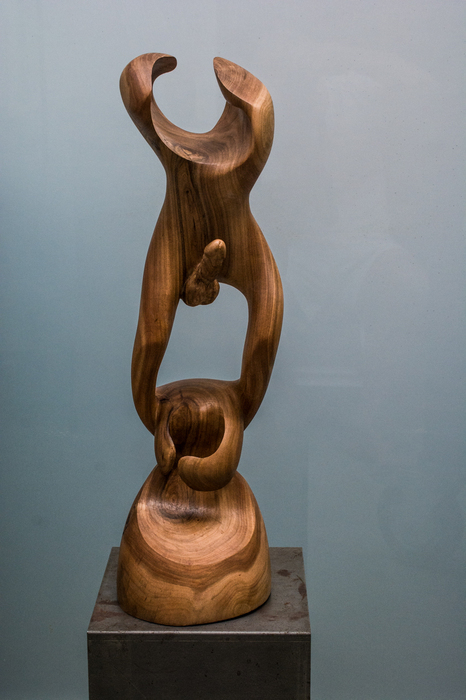 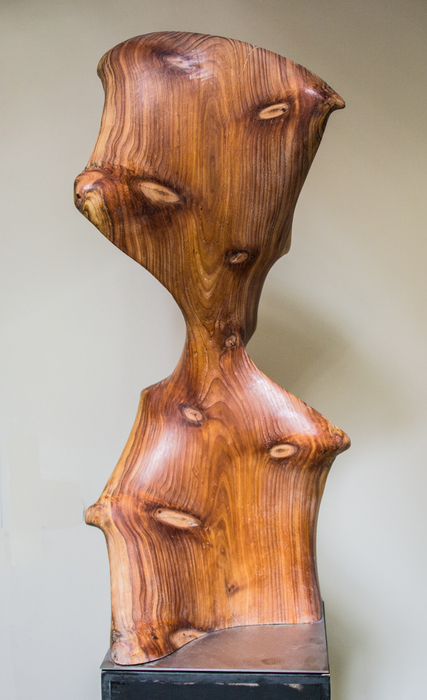 All sculptures are unique, no duplicates. 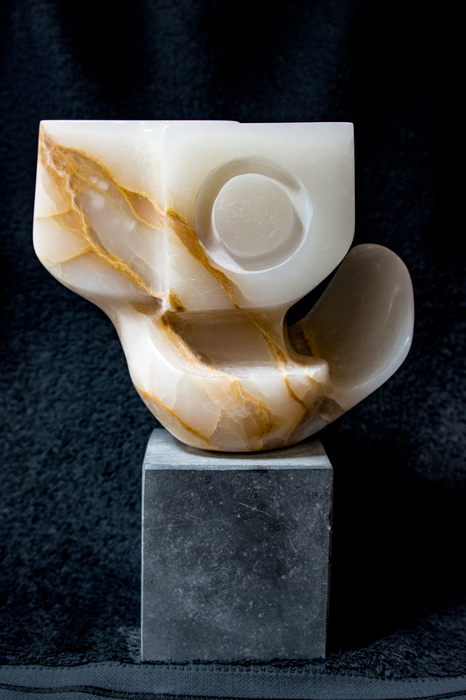 Small marble sculpture, 21 cm high, started without any intention, at finish referring a bass playing musician. 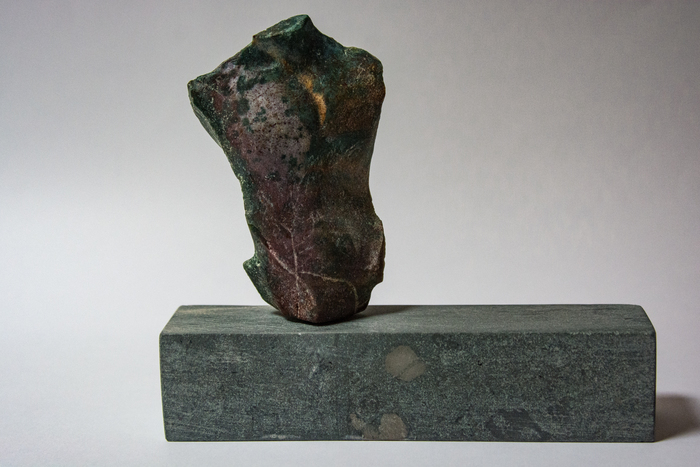 Acrylic stone, 50 cm wide, a composition using acrylic resin with stone powder. 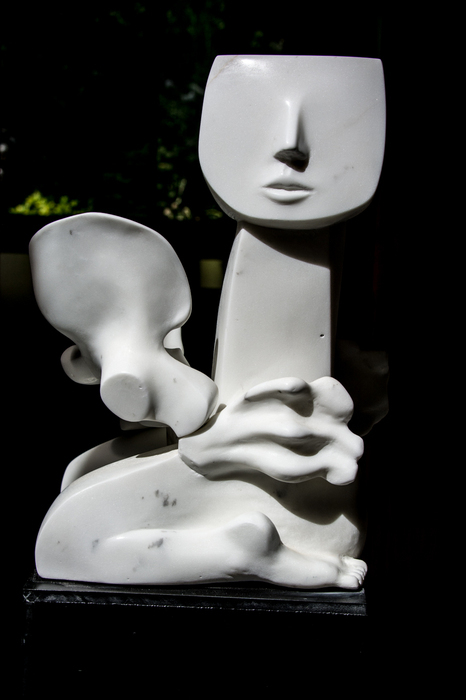 Bardiglio marble 60cm. 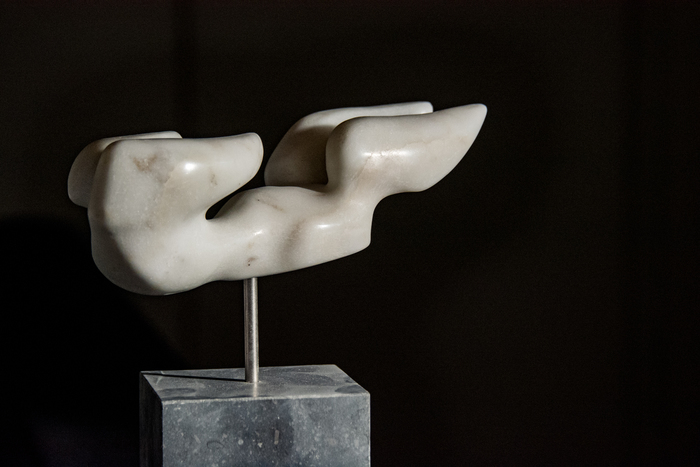 Cut from one piece of this beautiful stone, at first starting with an X shape that developed into two crossing figures. 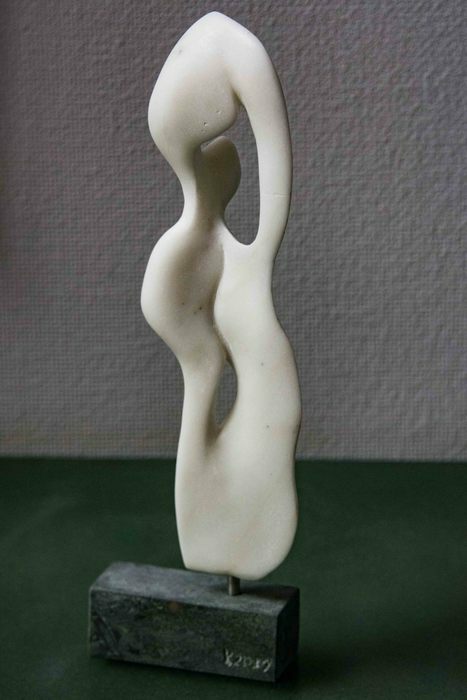 Sand color marble, 20 cm, two shapes growing apart and meeting again. 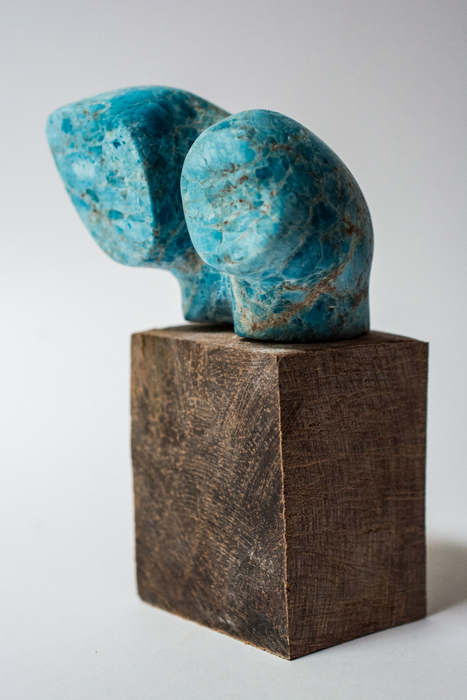 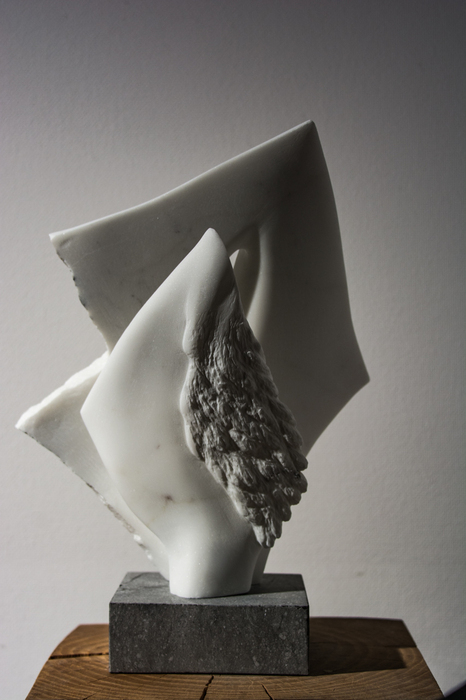 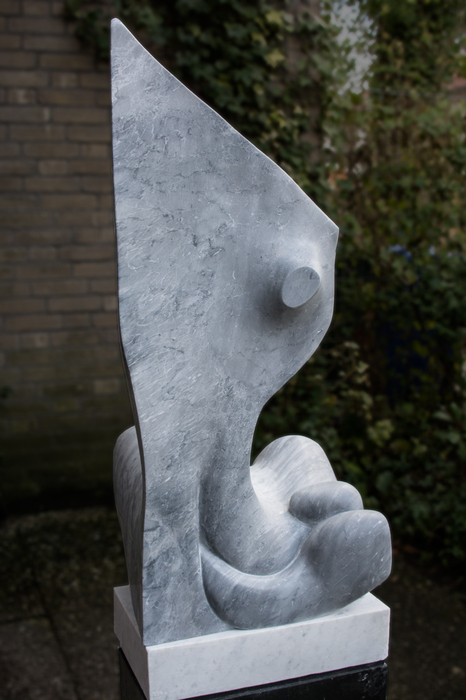 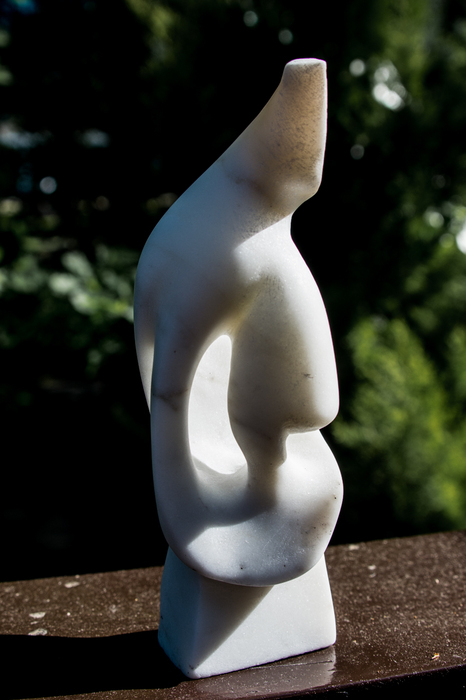 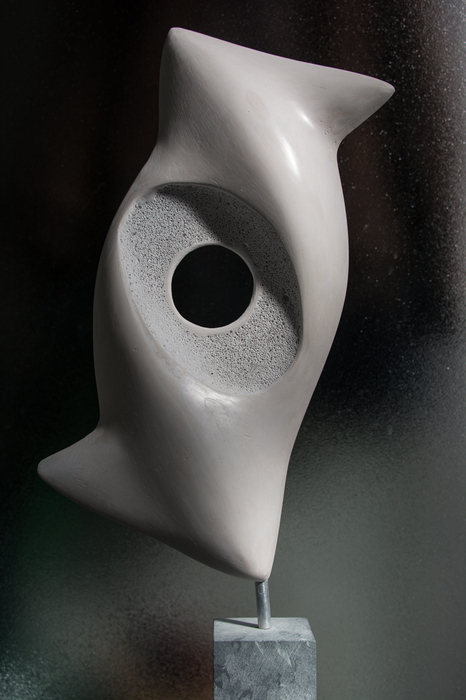 Small marble sculpture, 32 cm high. 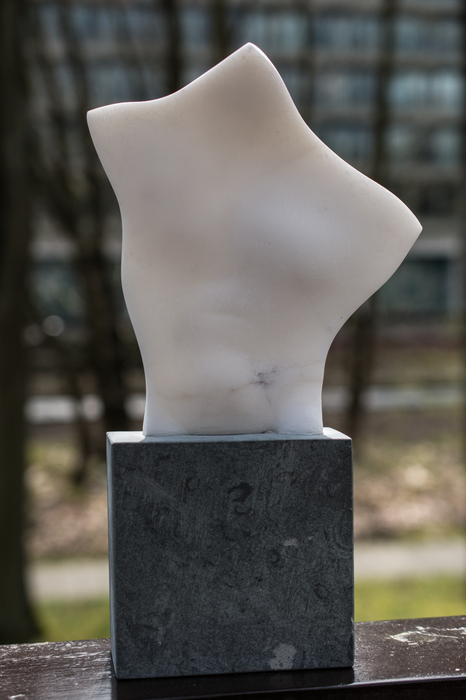 A flat shape bending into a torso. 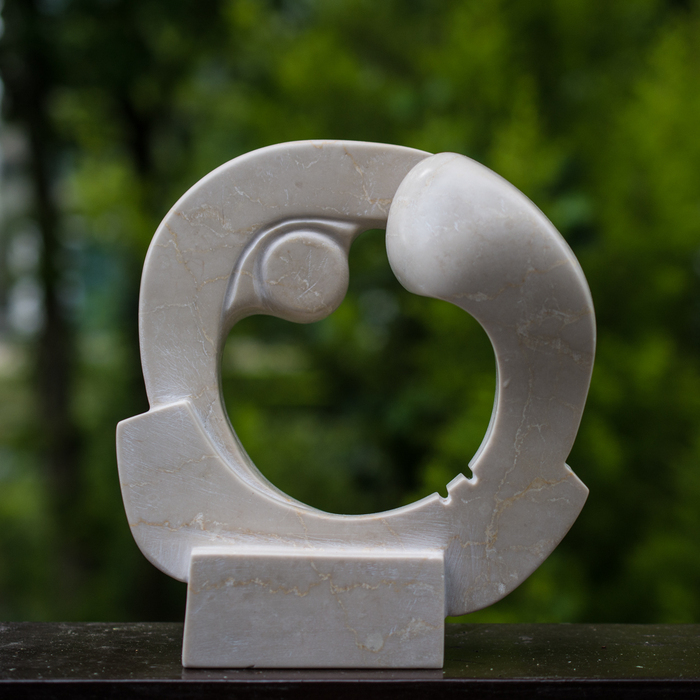 Acryklic stone on a aerated concrete base, the concrete exposed around the inner circle. 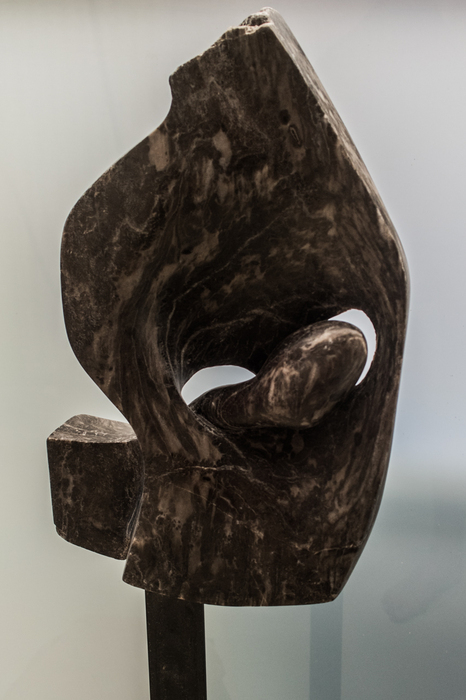 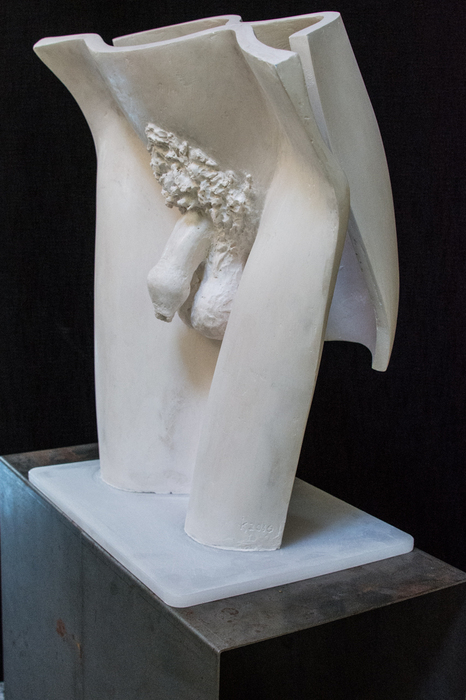 Bardiglio marble, second version of sculpture that was damaged. 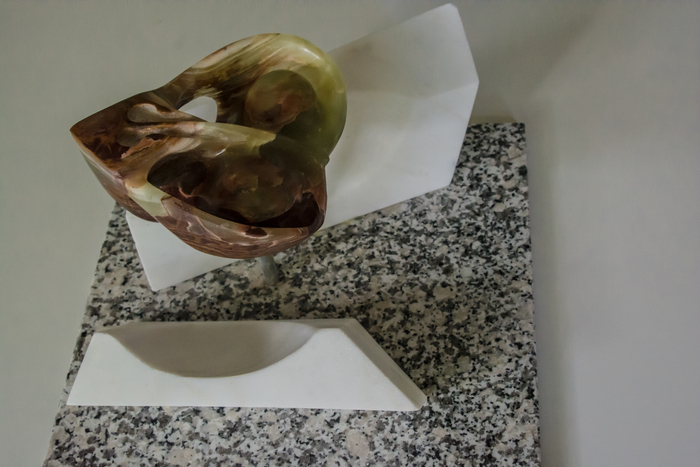 The new shape makes a good balance of shapes. 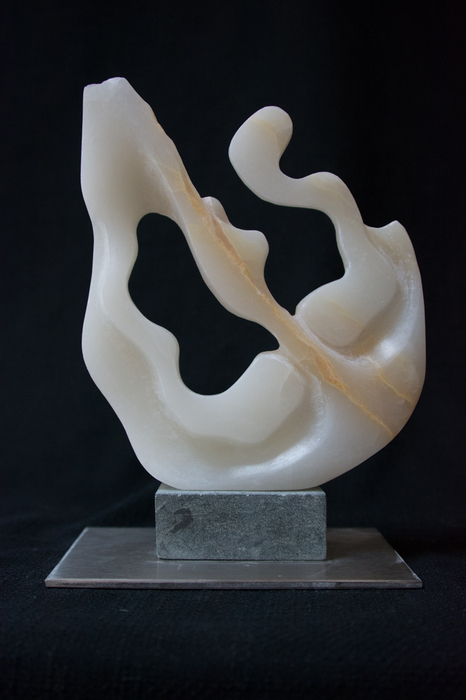 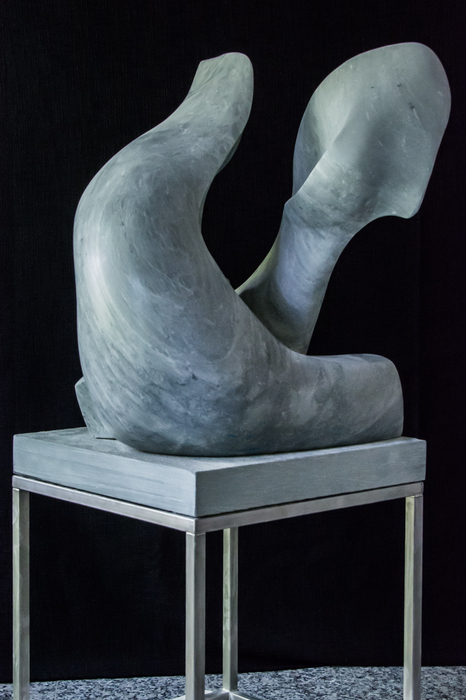 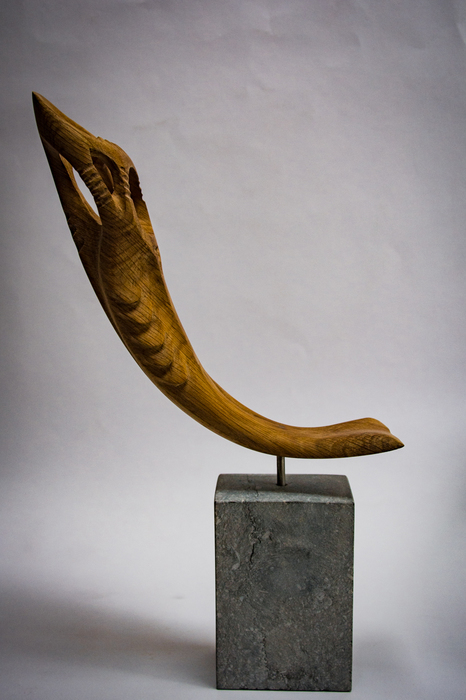 A 30 cm high sculpture of Onyx. 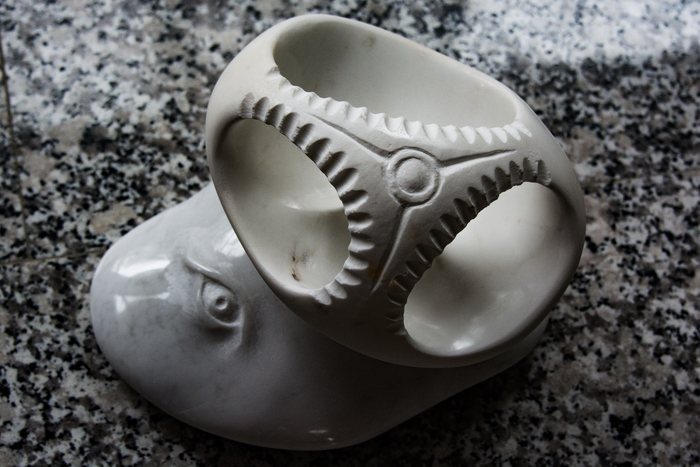 It invites the spectator to interpret. 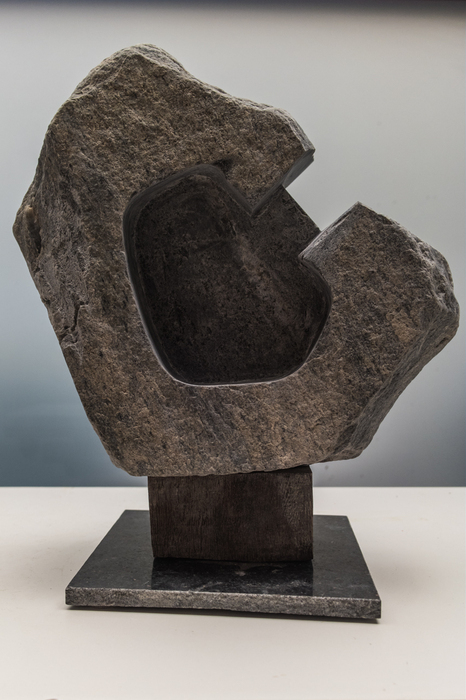 This 1 - 2 cm thin Onyx stone started its life as a split-off piece of an earlier sculpture, the fracture is now the back of the new sculpture. 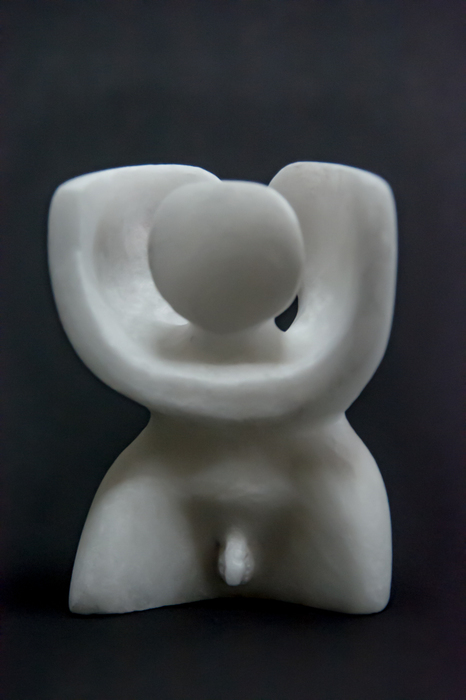 The diagonal drawing corresponds to that of the earlier Cirkel sculpture, and served as the starting point for the developed shape.